Welcome & Bienvenidos to the Peninsula of Samana Imagine a land of golden sand beaches, infinite palm trees, pristine waters, charming hotels, quality restaurants, and warm people who will make you feel at home. Welcome to the Samana Peninsula, the most virgin land of the Dominican Republic, and the Island’s best kept secret, until recently! Hotel Docia is a beautiful guesthouse that has been a local favorite for over 20 years. 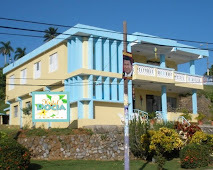 Very well located only 200 meters from the famous Malecon and of Samana Bay, the hotel features 15 rooms between double and singles. Imagine a land of golden sand beaches, infinite palm trees, pristine waters, charming hotels, quality restaurants, and warm people who will make you feel at home. Welcome to the Samana Peninsula, the most virgin land of the Dominican Republic, and the Island’s best kept secret, until recently! Situated at the Northeast edge of the Dominican Republic, between Bahia Samana and Bahia Escocesa, the Samana Peninsula reaches in direction east west for 58kms. The Samana Peninsula has always attracted visitors, not only because of its amazing beaches and white sand that sits below thousands of palm trees (greatest palm tree per square meter average in the world), but because of its strategic position in the Caribbean geography. The Samana Peninsula has managed to grow without being consumed by mass-tourism. Keeping the wealth of its customs intact, defending even its simplest superstitions and conserving the innate joy of life that all Dominicans possess. For the sports enthusiasts, Samana Peninsula offers great possibilities: perfect spots for kite-surfing, splendid waves for wind surfers, colorful reefs for divers, bike rides and romantic horseback adventures. 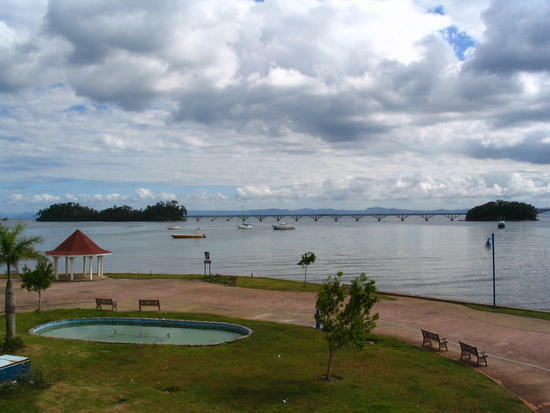 The Samana Peninsula is an unforgettable scenic place. A special destination, still virgin and authentic with tropical surprises. The Samana Bay and the Rincon Bay areas recently ranked in the top ten by “Most Beautiful Bay in World Club” . What more could you asked for? Also the new highway (Autopista del Nordeste Juan Pablo) is connecting Santo Domingo with the Samana peninsula in only two hours and plays an important role in the region’s development. The spectacular nature and the perfect climate are ideal for buyers of second vacation and retirement homes.